Becoming an Outstanding English Teacher supports all English teachers in offering a wide range of approaches to teaching and learning that will stimulate and engage students in studying English. It offers practical strategies that can be used instantly in English lessons. The topics offer examples for questioning, differentiation and assessing progress. Some of the ideas have also been incorporated into lesson plans using texts from the revised English National Curriculum. creating an environment for behaviour for learning. 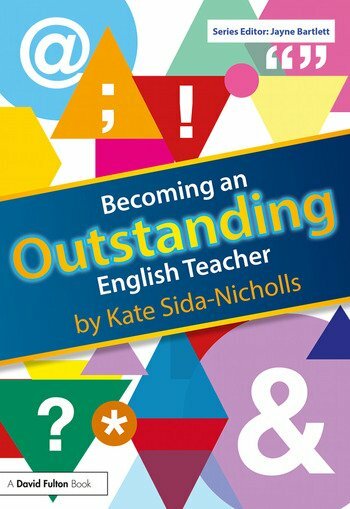 Fully up to date with the National Curriculum guidelines and packed with practical strategies and activities that are easily accessible, this book will be an essential resource for all English teachers who are aiming to deliver outstanding teaching and learning continuously in their classrooms. Kate Sida-Nicholls was an English teacher for eighteen years and had various roles in English departments. She has been the programme leader of a teacher training course for the past four years in Suffolk and Norfolk and spends a significant amount of time in classrooms with qualified and trainee teachers.